Since climbing within a point of a playoff position in the Eastern Conference the Sabres have hit one of their worst runs of play in the entire 2016-17 season, dropping seven of their last eight games and falling well out of reach of serious playoff contention. The skid has been defined by blown third period leads, losses to teams below Buffalo in the standings and sub-par goaltending. However, the third period collapses are by far the most concerning aspect of this recent run. It’s something that’s highlighted many of Buffalo’s other shortcomings this year. In some ways this run was probably inevitable. The Sabres have been allowing absurd numbers of shots and shot attempts on a game-to-game basis and had been winning the odd one thanks, in part, to the play of Anders Nilsson and Robin Lehner. Both have given the Sabres strong play throughout the year but recently only share one game with two goals against or fewer (shootout loss to Tampa Bay). Both have still played well through the course of these games despite the ugly results. Look no further than Nilsson’s play in Pittsburgh or the handful of sterling saves Lehner made against Philly in an otherwise forgettable performance. Simple logic would indicate that Buffalo’s poor defensive play finally caught up to them and despite otherwise strong play from their goaltenders, the team just isn’t good enough to cover all of their shortcomings. 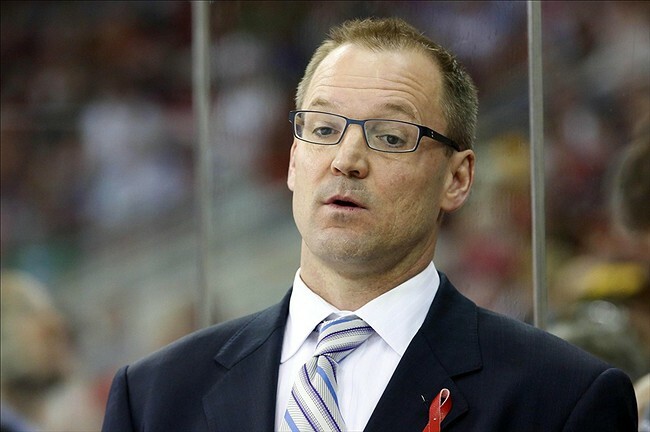 It’s a combination of poor personnel (hello defensemen) and poor usage that’s undermined what could have been an exciting season for the Sabres and now it appears the focus has shifted firmly to Dan Bylsma. Even prior to this slump, postgame comments had indicated that all wasn’t well in the Sabres locker room. There were warning signs that the players were ignoring their coach’s wishes and going off script at key points in each game. Now that they’ve only accrued one win since the bye week, those whispers are growing louder. Back for the new year, Chris and Tyler are stuck asking the same questions of the Sabres that were asked in 2016. The Sabres appear to be stuck in neutral with no real signs of getting moving again thanks to injuries, poor special teams and poor coaching. We analyze what options are left at this point in the year and look forward with some hope as not everything is bleak down at Key Bank Center. Catch the new episode here or on your device, links to subscribe to The Instigator Podcast can be found below.